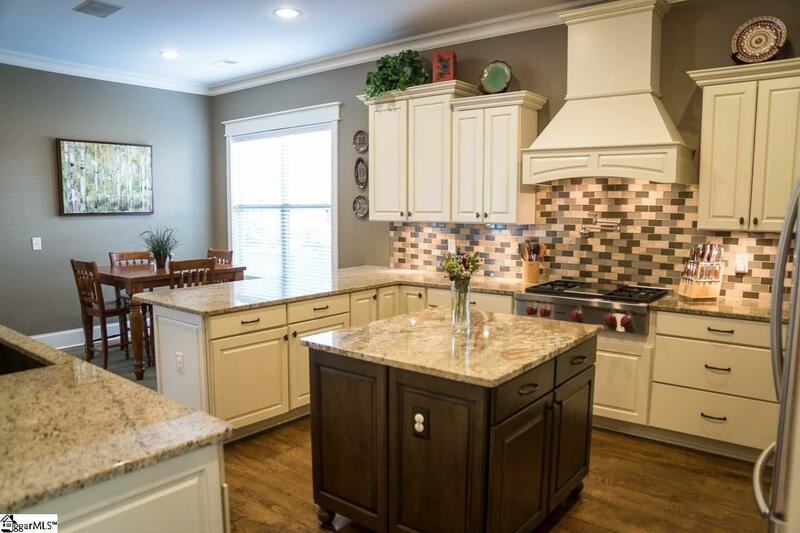 No detail has been overlooked in this gorgeous custom home in the Riverside school district. 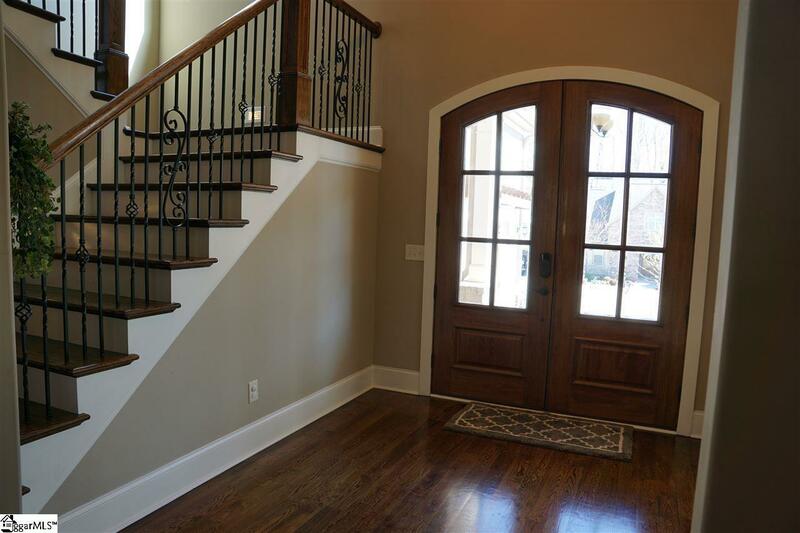 From the double wooden arched front doors, to the 4-inch hardwood oak floors, quality features abound throughout this meticulously designed home. The gourmet kitchen features a Wolf gas cook-top with center griddle & pot filler, a large kitchen island flanked by extended granite counters with eat-in area, tremendous cabinet & drawer storage, stainless double convection ovens and a French door side-by-side refrigerator, as well as a large walk-in pantry. The Master Suite on Main provides a private retreat furnished with a bay window, a triple trey ceiling with rim lights, and a private balcony overlooking the creek bordering the property. The Guest Bedroom, also located on the first floor, is complete with its own private bath. 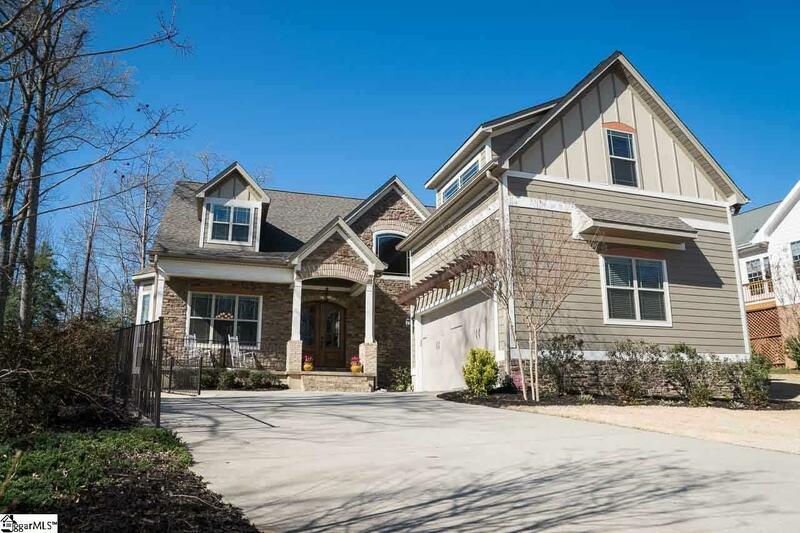 The open floor plan integrates the kitchen and the sunny breakfast area with the adjoining Great Room, which features a stacked stone fireplace & coffered ceilings, providing a comfortable and flowing common living space. The sense of space is accented by 10 foot ceilings throughout both the first floor and finished basement, all with 8 foot custom doors, as well as 9 foot ceilings throughout the second floor. 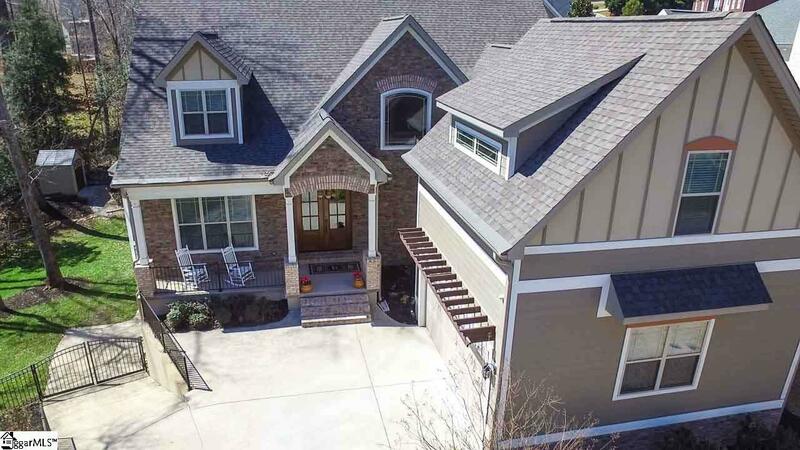 The upstairs loft area with hardwood floors is surrounded by three additional upstairs bedrooms, each with their own bathrooms, (six and one-half baths total, all with granite counters and tile surrounds in bath area), along with a sizable bonus room with dual dormers. The beautifully finished walk-out basement is complete with a theater room (with 5'x9' screen inset by artfully designed cherry wood wall, 7.1 surround sound, & 1080 projector), an additional bedroom with accompanying full bath, an office that can double as an additional bedroom, a weight room, a kitchenette area adjoining the huge Den that currently functions as a game room. The third garage accessed from the basement or from the outside paved drive serves as a great workshop. The outdoor living spaces are also impressive and include a cul-de-sac lot bordered with a creek providing ultimate privacy, an oversized back brick paver patio with stone retaining wall, a stone fireplace with built-in arched firewood storage areas, a built-in gas grill, a black-iron style fence enclosing the side and back yard, a 19x10 screened back porch, as well as a full-yard irrigation system. This home meets Energy Star requirements, and is foam insulated throughout all exterior walls and surrounding Master. Other features include over 7,300 square feet of finished, heated and cooled living space, a five year home warranty, a whole home audio system, rim lights in theater and all bedrooms, an on-demand, tankless, gas hot water heater, central vac system, an in-wall pest control system, security system with cameras inside and out, an unfinished wine cellar, HardiePlank siding, finished bullnose corners throughout the interior of the home, to name just a few. Located a few minutes from Pelham Medical Center with close access to I-85 and just minutes from GSP International Airport. This home is one of a kind! We invite you to come visit today.